Warmer weather is upon us, which gives us that urge to spruce up our interior décor and tackle some of that outdoor landscaping. Whether you’re looking for an easy project or want to bring a full design to life, here’s an idea for you and it involves bricks! Bricks come in so many styles and colors. With a little imagination, they can be reused in a variety of ways both indoor and outdoor. 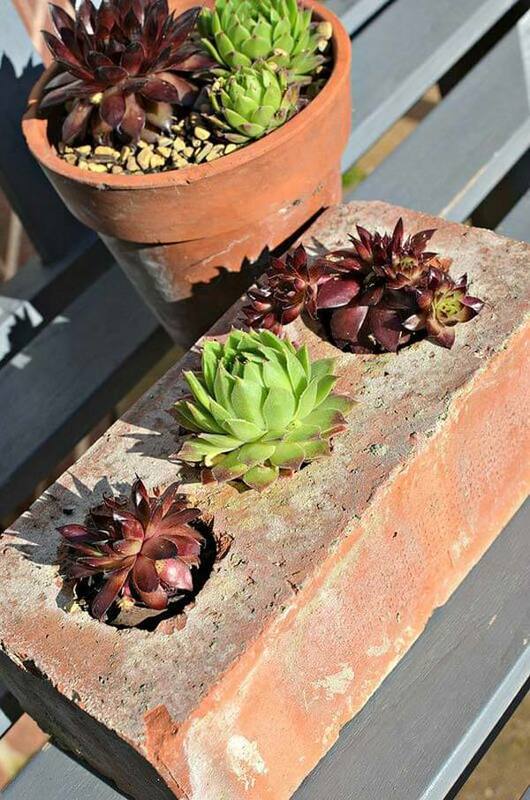 From brick walkways to fun flower arrangements, there are tons of ideas you can create using recycled bricks. So, if you have a few bricks handy, now is the perfect time to put them to good use. If you don’t have any bricks laying around, don’t worry. You can usually pick up loads of bricks for next to nothing, sometimes even free! Check out a few yard sales, salvage yards or home improvement stores to stock up. Ready to check out a few creative ways to spruce up your space this season? The best part, some of these projects are super simple ideas that you can do with your kids. Let’s take a look at these amazingly creative uses for bricks that will personalize your home and garden. The possibilities are endless! This is the perfect way to add a little personalization to your walkway. 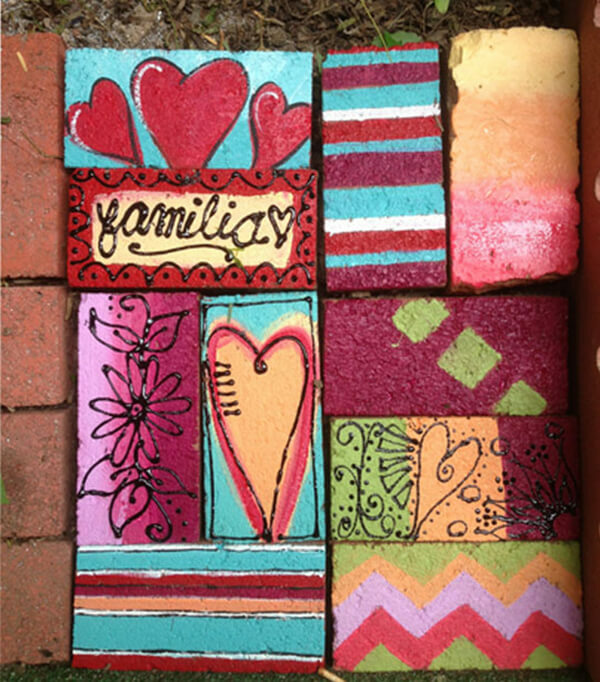 Whether you want to use a stencil for a more uniformed design or let the kids go crazy, this is a fun brick project the whole family can enjoy. It’s also a memorable piece you can look back on in the next several years and cherish all of the memories made while painting these little bricks. 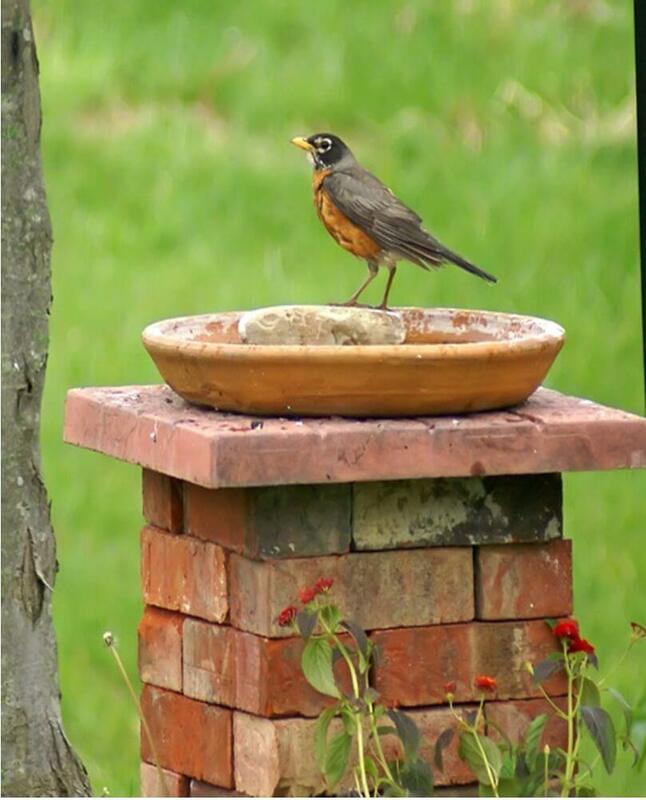 There are so many different styles of bird baths on the market today. This stacked brick column serves nicely as a place for all of the beautiful birds in your neighborhood to stop by for a little bathing retreat. This is such a simple project that not only looks beautiful but also welcomes all of your feathered friends to your home. 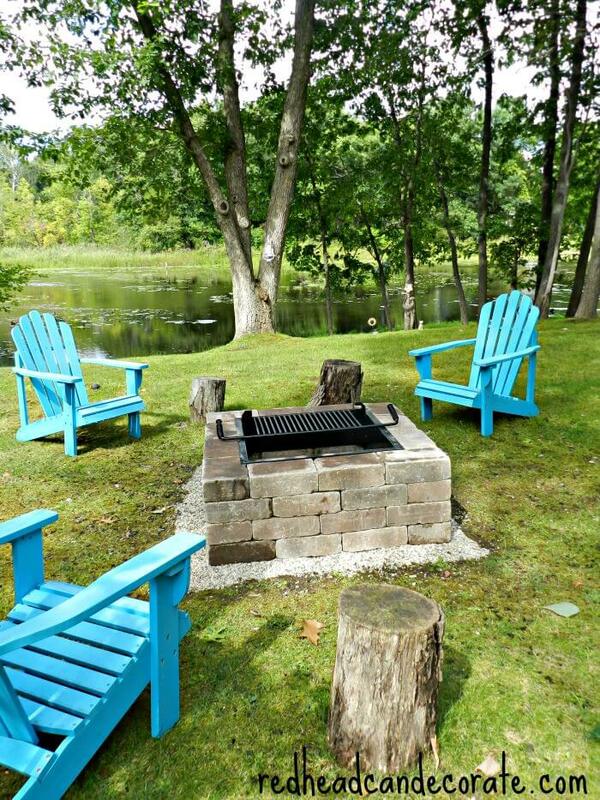 Who wouldn’t want a super chic outdoor fire pit to cozy up to in the evenings, roast marshmallows with the kids and gather around with friends? This fire pit coffee table made from bricks is the perfect project you can build with little effort. 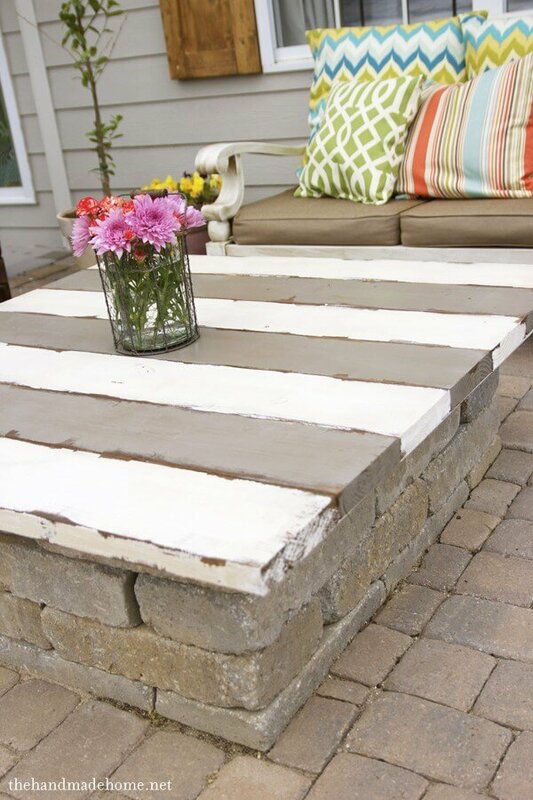 The top has a painted wooden slab that doubles as a tabletop and fire pit cover. Garden markers serve as a great way to easily locate and identify all those yummy veggies you’ll be planting in your garden this spring. 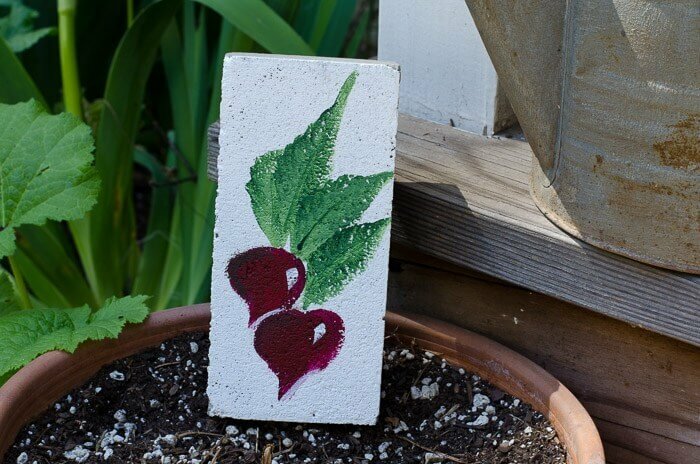 A fun and simple craft idea is to hand paint your vegetables right onto a brick. 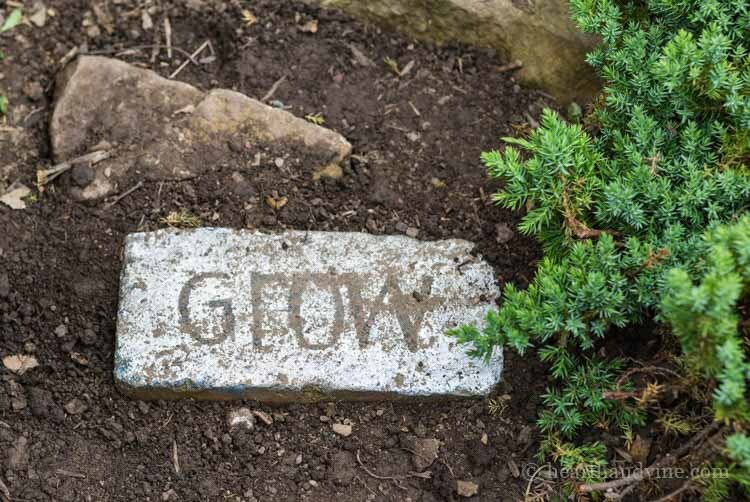 Not only will these brick garden markers stand out, but they’ll also make great garden décor. Looking for a way to display your creative artwork? 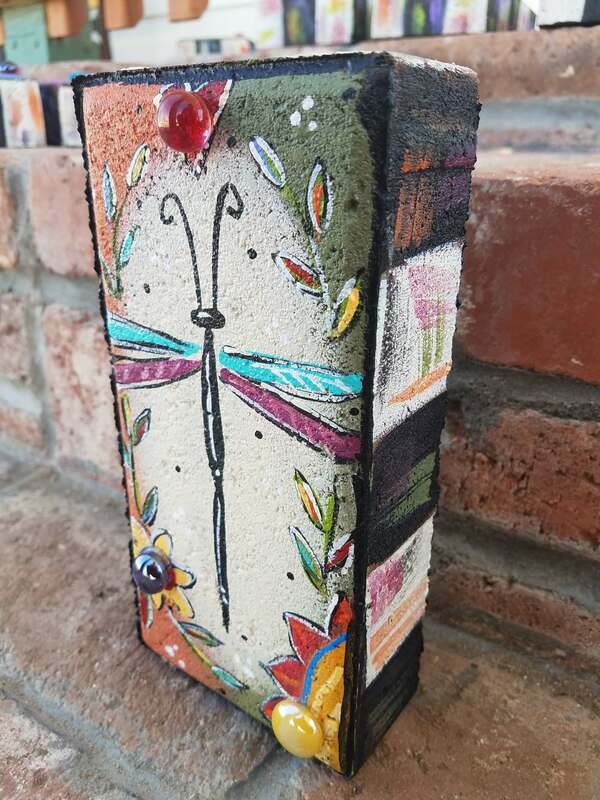 Painting your beautiful masterpiece onto a brick is a great way to showcase your art around the house or even gift to friends and family to enjoy. The possibilities are endless as you can paint objects, animals, quotes or whatever your heart desires. Stack them up for a lovely display or use a single brick for a door stopper. Succulents are beautiful little plants. They’re so easy to care for and can withstand a great deal of neglect. One creative way to show them off is inside of a brick! This project couldn’t be any easier since the holes are already cut out for you. These would also make great centerpieces for your table since you could add a small candle to one of the holes. Brick is such a popular addition to any fireplace to make your living space feel more refreshed and really makes a statement. 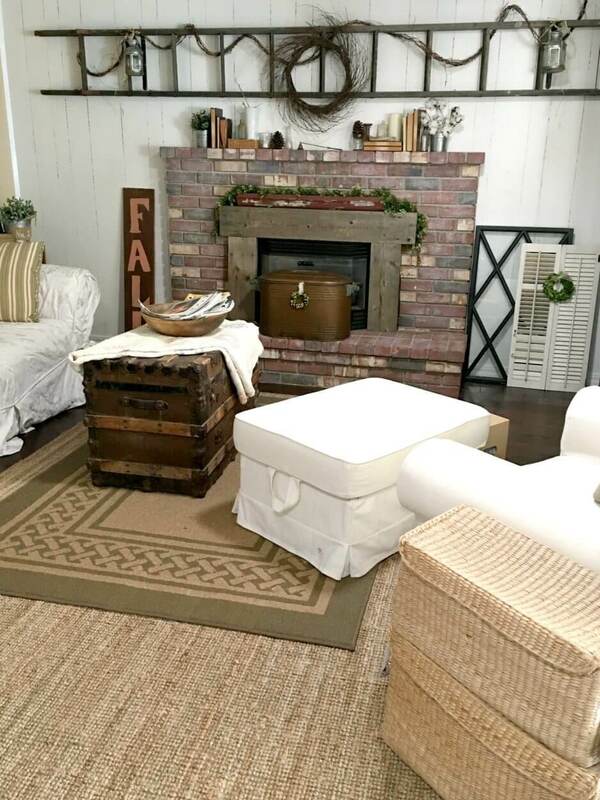 Whether you have an existing brick fireplace that you’d like to update or wish to completely re-vamp your current fireplace by adding brick, it’s not as hard as you’d think. For existing brick, whitewashing is a cheap and simple solution. If you’re starting from scratch, simply map out your mantle and apply the adhesive. Concrete bricks can be used in a variety of ways both in and outside of the house. One of the most popular backyard DIY’s using bricks is creating a fire pit. This weekend project is rather simple, and the outcome looks remarkable and professional. A bonus feature is the added grill top, perfect for cooking! 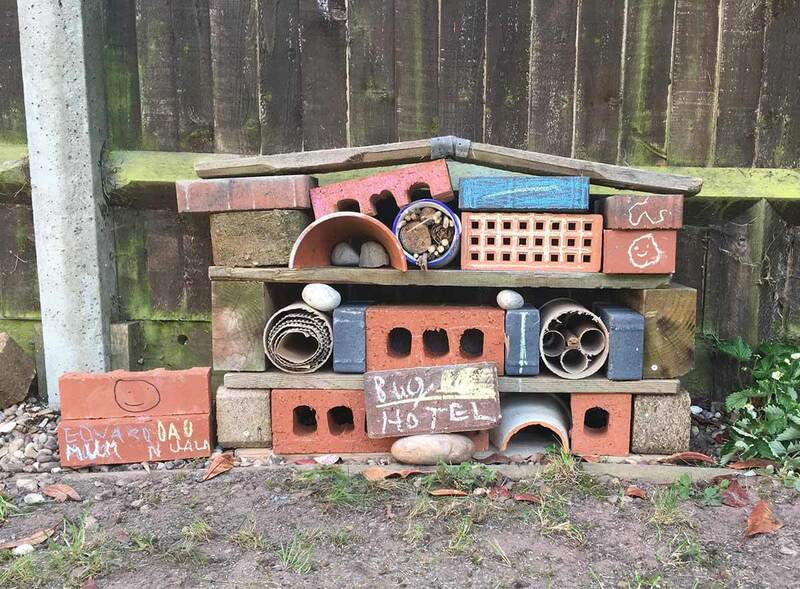 Whether you like bugs or hate them, this fun and unique bug hotel is a great way to make use out of old materials you have laying around. Did you know that you’re actually helping the ecosystem by creating one of these little bug houses? Insects encourage pollination and defend the land from those pesky bugs who may damage your flowers and vegetables. This is also a wonderful learning experience for your children. Whether you are planning an outdoor event or simply want to showcase your address a unique way, painting numbers on bricks is such a simple (and cheap) project. 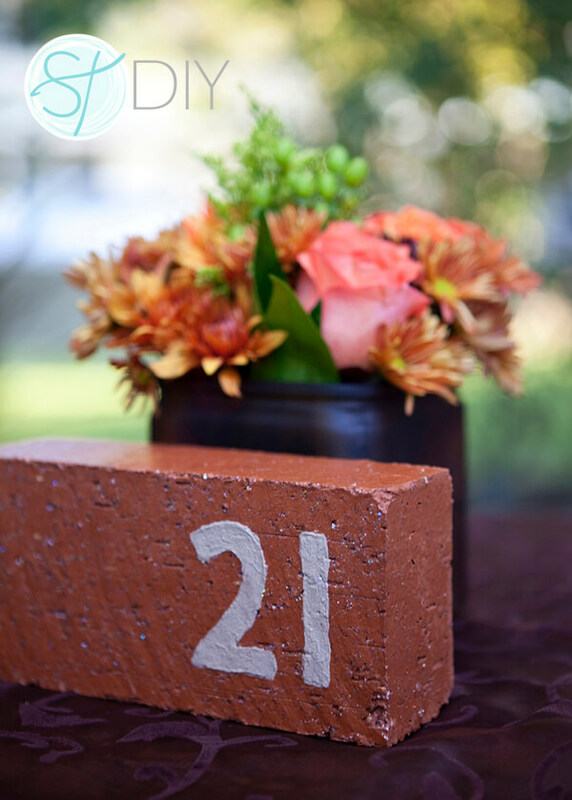 Utilize your painted number bricks on tables at an outdoor wedding or place them right on your front porch to let everyone know they’ve arrived at the correct address. 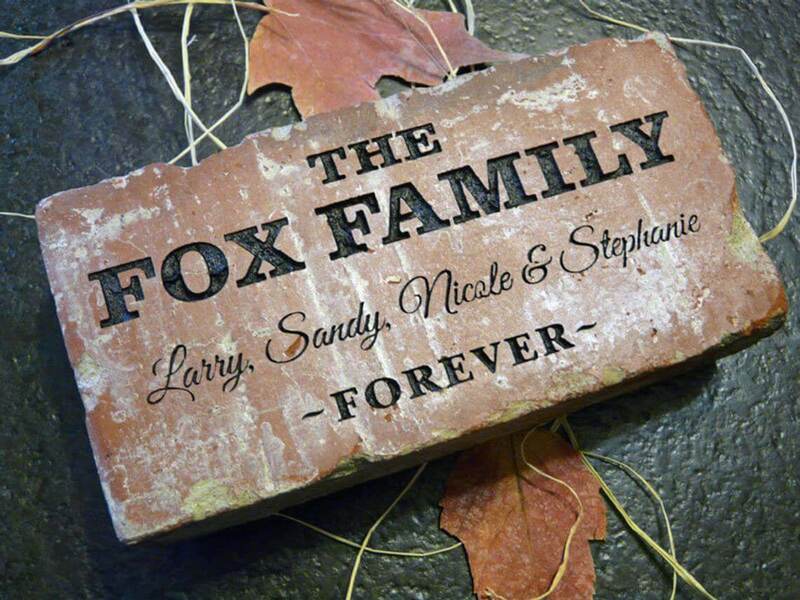 Personalizing a brick is a lovely way to share a family name or milestone. Using stencils and paint or engraving words onto a brick is the perfect custom design you could display nearly anywhere in the home. A few ideas you could add onto a brick are family names, wedding dates or other memorable milestones. Painting rocks has become such a big trend with kids over the years, so why not take it up a notch with bricks. Create a beautiful and personalized stone path with your painted bricks using words to form your favorite quote or your favorite inspirational words. The possibilities are endless and with this simple craft idea, you can let your imagination run wild.